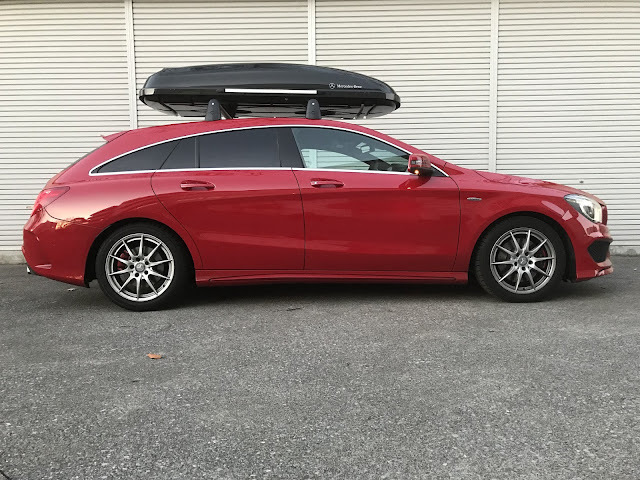 Some reports and tips about Mercedes Benz CLA 250 Shooting Brake Sport 4matic 2016 version. How to get electric power from CLA? 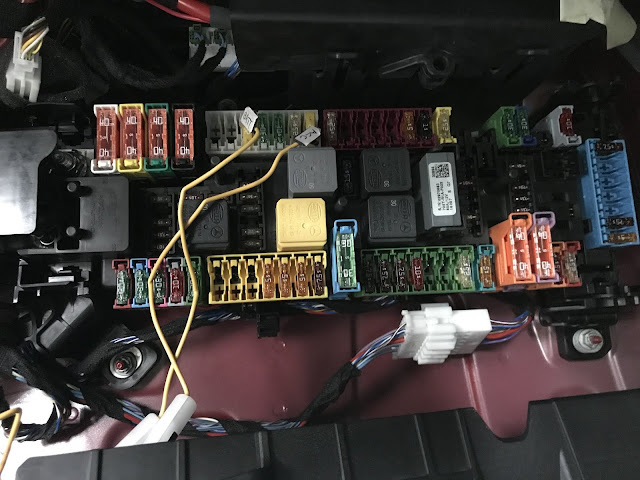 You can find the fuse box in front of the navigator seat. You turn over the black floor carpet and you can find the box. To get the power, I use the fuse tap[google]. Where did it put into? Mine is RHD. So if yours is LHD, please see the pic upside-down. The ground line should be connected to the bolts. CLA 250 with Mercedes genuine roof box whose capacity is 450L. Is my car able to stop behind the other stopped car by using distronic plus? Some drivers are wondering the car is really able to stop behind the stopped car in front of you by using the distronic plus. I was wondering too. I just tried and it was successful. 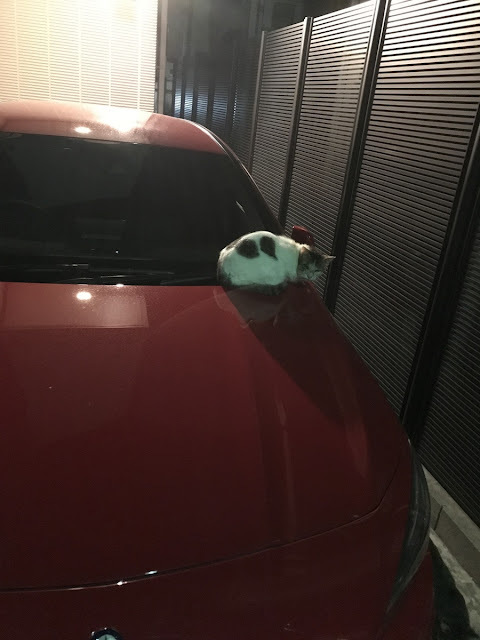 But I think we do not leave your foot from the brake pedal even though the system in on. My CLA is SB. SB's basic carrier rail's price is, for example, 389.91 EUR. Its part number is A1178900193. But CLA coupe's one is 292.44 EUR. Its part number is A1178900093. Um... WHat's the difference between them???? New record (20) is added. Not so good consumption in these days, because I used Sport mode so much. New record (19) is added.